SafetyGate Commercial Single Phase Restart Prevention circuit board in NEMA 4X rated, UL type 4X /12K enclosure including installed wire glands, 10awg crimp-on connectors, mounting hardware;including screws, setoffs w/ retainer clips. 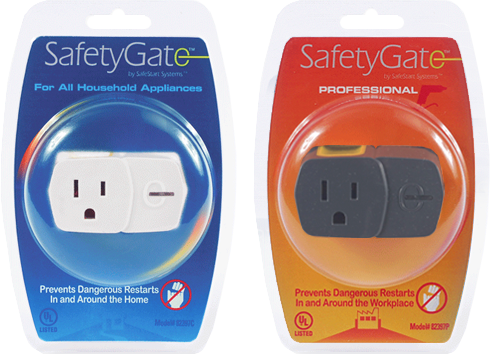 The revolutionary SafetyGate™ Commercial is the new high current model of the SafetyGate line of simple, low cost restart prevention products. 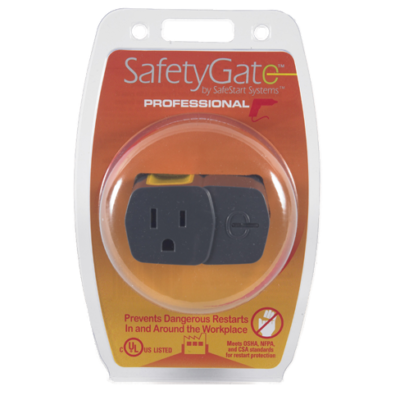 The patented SafetyGate circuitry recognizes when your machine’s power switch is left “on” after a power outage, breaker trip or accidental unplugging and puts up a protective “Gate,” stopping the flow of electricity. Bright yellow LED indicators let you know the SafetyGate is in “protect mode.” To reset, simply turn your machine’s power switch to off. The SafetyGate Commercial is completely automatic with no buttons to push or switches to reset; using your machines own power switch to restore normal operation. This exclusive SafetyGate feature prevents dangerous secondary restarts caused when a device is restarted away from the operator’s control. 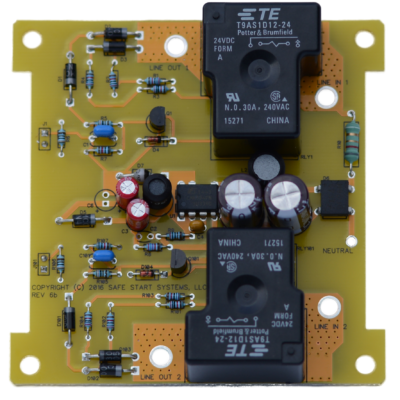 The SafetyGate circuitry also identifies short circuits which may be present in your machine at power up and restricts current until the circuit is corrected. 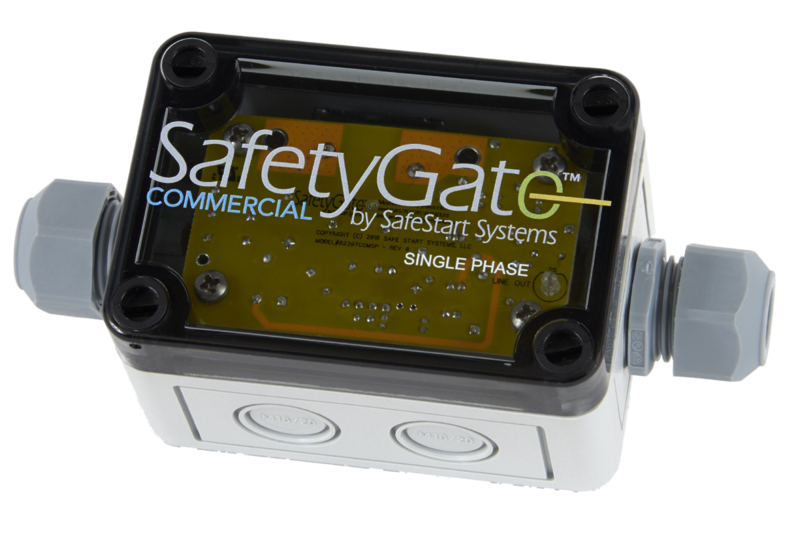 The SafetyGate Model # 82397COMSPN4 single phase unit weighs less than 8 oz. and can provide restart protection in a 110-250V 50-60cy 30 amp single phase environment. The patented SafetyGate™ Commercial is a Recognized Component under UL 508 and CSA C22.2 No. 14 Industrial Control Equipment and is designed to meet FDA mandated IEC 60601-1 Version 3, OSHA, NFPA and CSA standards in preventing the hazard of dangerous electrical restarts.